As you are aware, earlier this year we were required to discontinue our rewards program by the company responsible for maintaining its software. Fortunately, we have found a new partner able to allow us to not only once more offer a rewards app, add some improvements as well. The new program will offer both app and non-app options, as well as a more personalized experience, providing you with more savings on the items you love most. Download the Coffee Hound Rewards App for your phone via the Apple App or Google Play store. Register through the Coffee Hound Rewards web app. Register when you check out at either our Uptown Normal or Downtown Bloomington location using your email and phone number, then, after your first purchase, respond to the text prompting you to update your information. Click on the following link for the Coffee Hound Rewards web app. Sign in with the email you used for your old rewards account. And start earning more points! We hope this helps, and would like to thank you for your patience and continued loyalty. 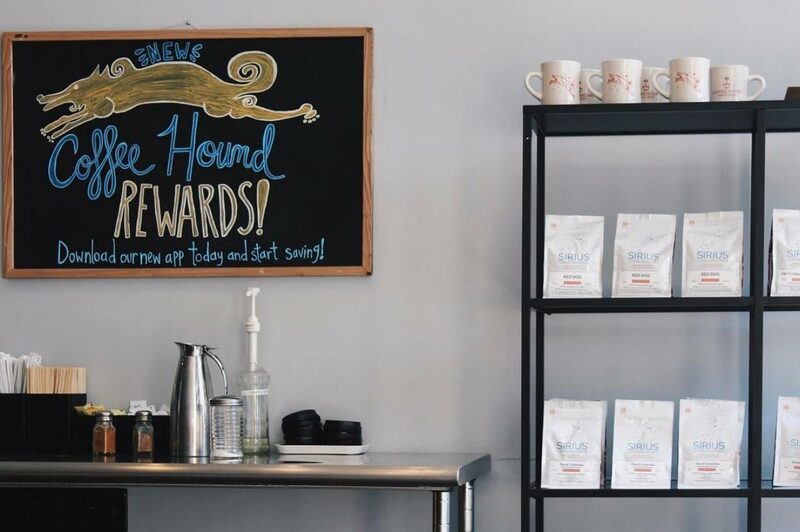 For future updates concerning the Coffee Hound rewards program, please check your email for additional updates, as well as the Coffee Hound blog and Coffee Hound Facebook page.